Albert Einstein: We owe a lot to the Indians, who taught us how to count, without which no worthwhile scientific discovery could have been made. Sir William Jones: The Sanskrit language, whatever be its antiquity is of wonderful structure, more perfect than the Greek, more copious than the Latin, and more exquisitely refined than either. 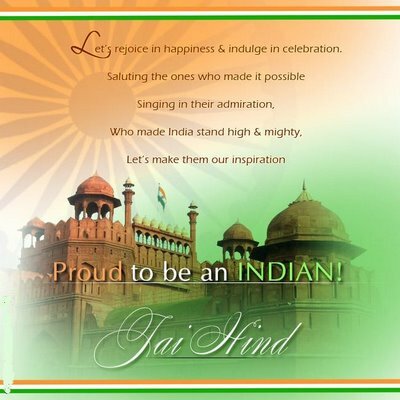 Mark Twain: India is the cradle of human race, the birthplace of human speech, the mother of history, the grandmother of legend, and the great grandmother of tradition. Max Mueller: If I were asked under what sky the human mind has most fully developed some of its choicest gifts, has most deeply pondered on the greatest problems of life, and has found solutions, I should point to India. I feel great reading the above, at the same time, I feel a sense of guilt when I see the inequality prevailing in today’s India. Are we really worthy of the lines said by the great men in today’s India? If not, can we at least try to be? So, on this independence day, let us make a promise to ourselves, that instead of finding the great quotes we would endeavor to making India a proud nation so that when we read these quotes again, we can held our heads high. 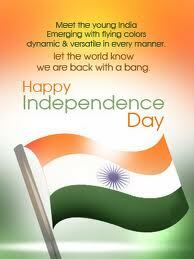 Wishing All of You a Happy Independence Day. This entry was posted in National and tagged National by kushsrivastava. Bookmark the permalink.